Help Hair® Shake and Help Hair Vitamins use an an All Natural formula including Biotin, Niacin and B-12 which are the best hair loss vitamins to help hair grow. The Protein Shake and the hair vitamins nourish the hair follicles from the inside for fast hair growth. Use Help Hair® Shake daily with our Help Hair® Vitamins for healthy, fuller looking hair. The Help Hair® Shake features whey protein for hair growth and is fortified with hair vitamins containing important minerals such as zinc and magnesium. 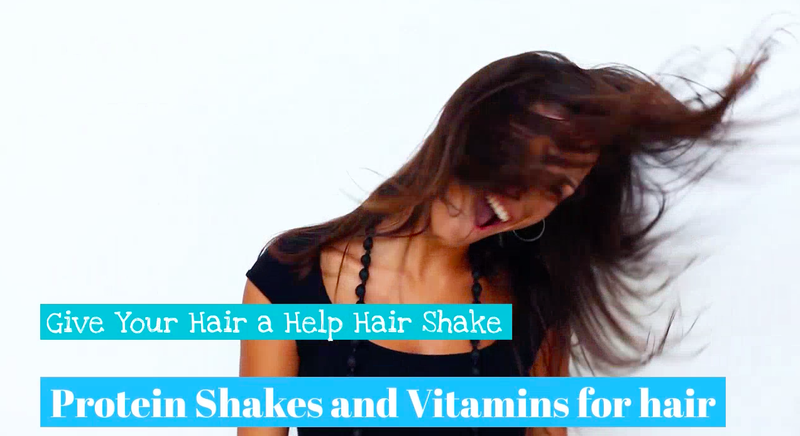 Feed your hair protein with Help Hair® Shake and Help Hair® Vitamins! Our products are Scientifically physician formulated. Checkout Shakes and Vitamins Reviews. 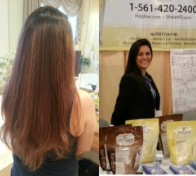 Benefits of Help Hair Shake: 4 Step Program- Thicker, Stronger, Looking, Shinier hair. • Recent studies- Read our research • Doctor Formulated- Recommended by 300 Worldwide Hair Clinics. • Only 75 Calories- Help Hair Shake has no added sugar: Low diabetic index • Non GMO- All Natural, no artificial sweeteners, colors, gelatins or fillers. No MSG. • Made in the USA- under strict FDA guidelines. • Next day shipping- 3-5 business days (USA packages). We ship worldwide. • Thousands of satisfied customers. Great Taste! Latest Blog- Arginine Good for Hair? Upcoming FUE Convention Dr Shapiro will lecture 6/3/19. Real before/after pictures. Super Models with Help Hair. 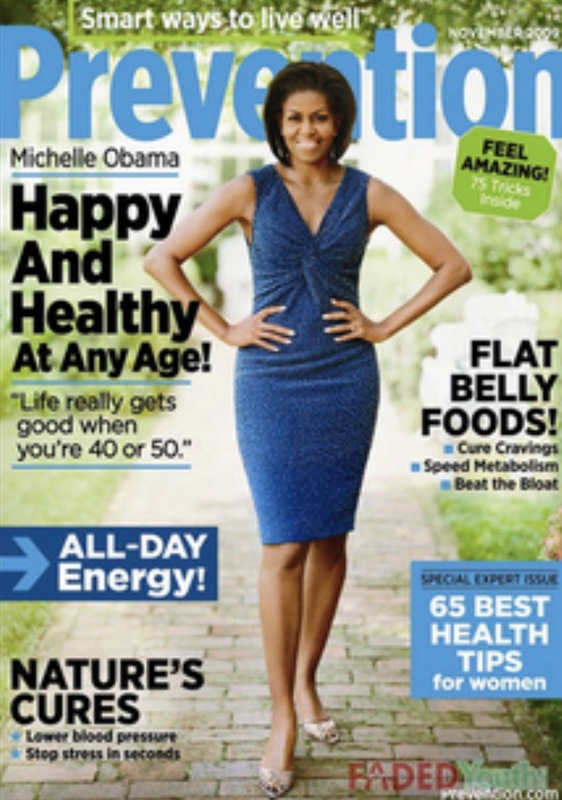 Interviews in Prevention magazine. Featured in the UK Daily Mail. Published research-Hair Restoration textbook. Latest Video Help Hair Doctors. Buy Now.... or call to order at 1-561-420-2400. Open 8am-10pm EST. Help Hair® Topical Fibers (27 Grams) Add density to your hair instantly. Buy 3 get Free shipping. Multiple colors. Help Hair Scalp Therapy 2-in-1 Dandruff Shampoo and Conditioner with Zinc 2%. 16 oz. SLS and Paraben Free. Volumizes and Conditions the hair. Great for itchy scalp. Leafy Green™ Energizing and Volumizing Conditioner 16 oz. Softens and Volumizes! No parabens or SLS. Rescue MD™ Combo- includes Help Hair Shake (30 serving pouch), Help Hair Vitamins (60 tabs), Help® Shampoo(16 ounces), and Help® Conditioner(16 ounces). Plus Free Shipping! Help Hair® Topical Fibers (12 Grams). Brand New! Add density to your hair instantly. Best online prices. Multiple colors. Help Hair Shaker- Easy to use 25 ounce bottle with our Shakes. BPA free. 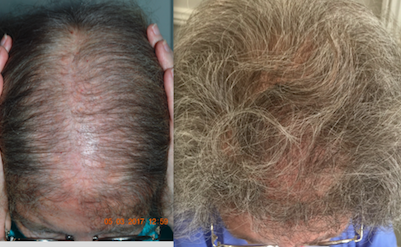 Before/After using Help Hair Shake and Help Hair Vitamins for 5-6 months daily for both male and female hair loss and for hair restoration. For both Men and Women. 1000's of Happy Customers! Read our reviews for shakes and vitamins. 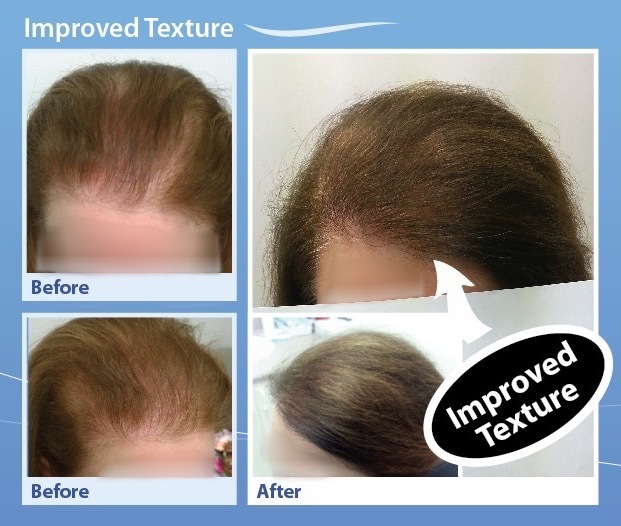 Science of Helphair®: Developed by a World renown Doctor. Hair Shake® and Help Hair® Vitamins will make your hair look thicker, shinier, fuller, stronger and diminish shedding. 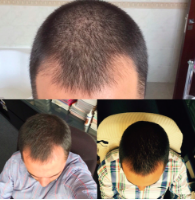 Suitable for thinning hair from:• male pattern baldness • pre or post menopause• post pregnancy• telogen effluvium• general anesthesia• accelerate regrowth (AFR™ or Accelerated Follicular Restoration™) postop• decrease shock loss after hair transplantation• weight loss or fad diets• poor nutrition• anabolic work out products. It is a great supplement when when your life is stressful and you start to lose hair or to replace anabolic weight training products or weight loss programs. Our product has a Low Diabetic Index and can be used with diabetics diets. Recommended by over 300 Hair Loss Clinics Worldwide. Order NOW! 1-561-420-2400. Fuller Thicker Hair in 4-6 months* Call our friendly staff. 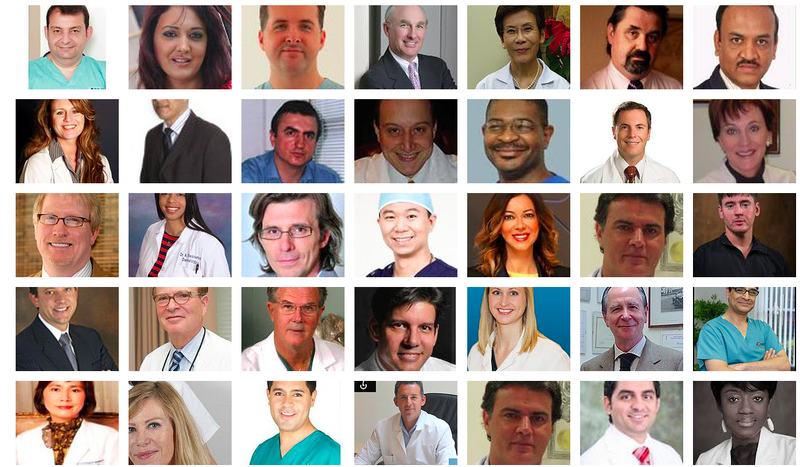 We strongly recommend that you check out ourDo's and Dont's Sheet. Avoid products that can cause Hair Loss. Products such as soy, creatine, DHEA, whey protein isolate, amino acids such as arginine, testosterone and growth hormone can accelerate hair loss. To see a complete list go to our handout. The science behind hair loss is important in understanding how to treat it. Tom R. North Carolina- "Help Hair® Shake and the Help Hair® Vitamins are amazing. My dermatologist recommended it because I was shedding and my hair was thinning rapidly. I took 1 Shake in the morning and the Help Hair vitamin at night. After using the Shake and Hair Vitamins daily for 6 weeks the shedding stopped and after 5 months my hair is thicker!" 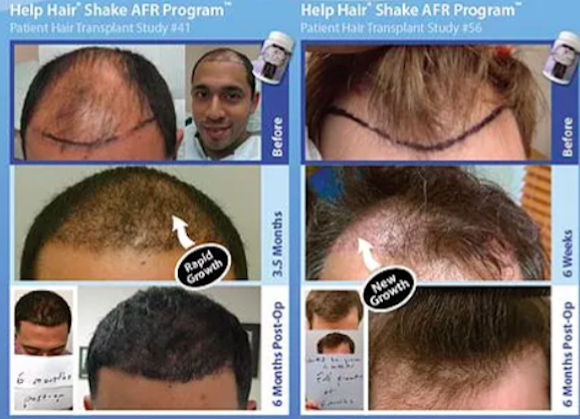 Steve K. NY, NY- "My hair transplant doctor from California told me to take Help Hair® Shake and Hair Vitamins for faster regrowth after my hair transplant. It started to grow in 7 weeks and I have full growth at 6 months. And the Shake is all natural. Best of all the chocolate flavor is delicious!" 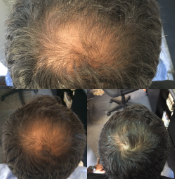 Chris P. Austin, Texas-"My trichologist told me my work out supplements were actually causing my hair loss. I having been using Help Hair® Shake and Hair Vitamins for 4 months with my daily routine and now my hair is thicker, fuller and no more shedding. I like mixing the vanilla with fruit to make a smoothie." Terry J. Atlanta, Ga-"My hair loss physician in Atlanta, Ga told me the hair is made of 97% protein. 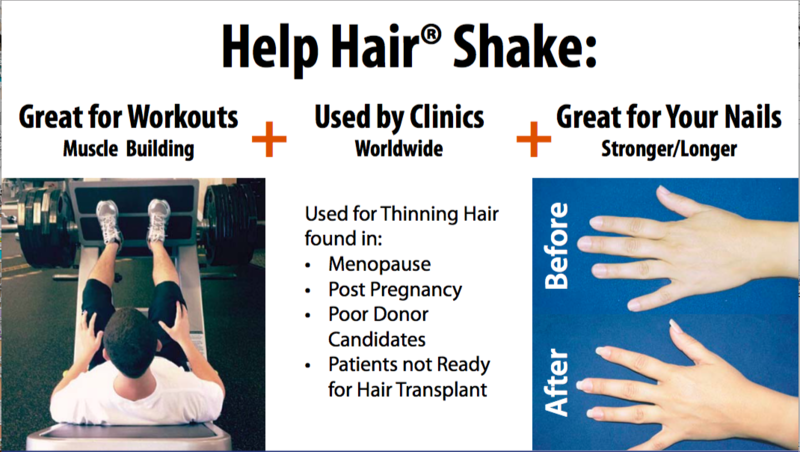 Help Hair® Shake feeds the hair protein.It really worked! Help Hair® Shake and Hair Vitamins is really Help for Hair." Formulated by a World Renown Hairloss Physician and Dermatologist -with over 30 years experience in Hair Transplantation. Our Worldwide Help Hair® Clinics have been trained to get the best results using our products. 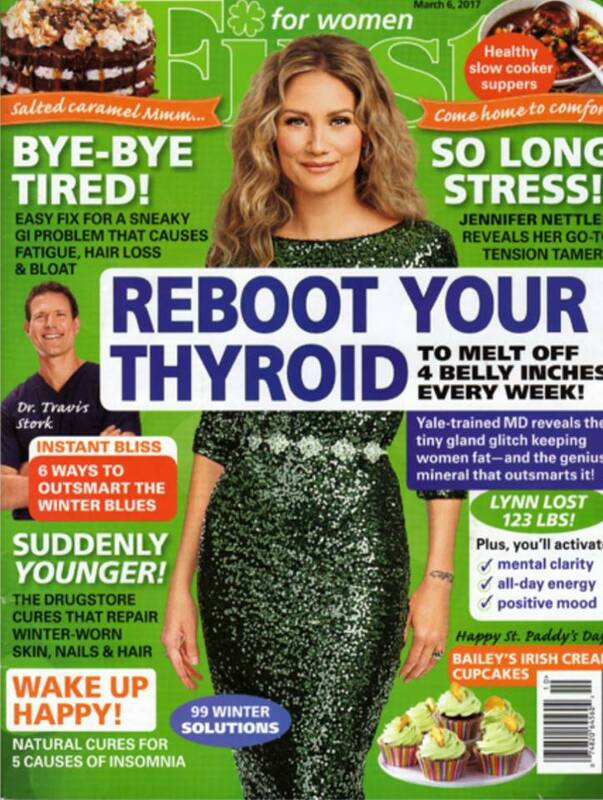 Thats because Our products actually work! 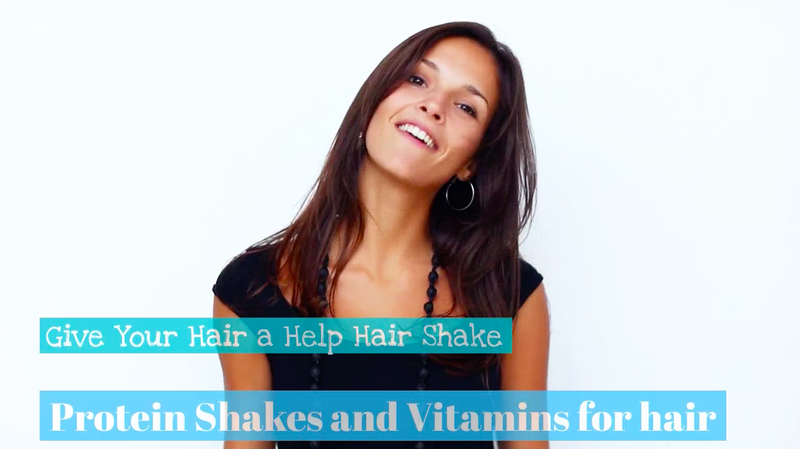 Help Hair® Shake recipes- Enjoy! No other product in the World is like Help Hair® Shake and Help Hair® Vitamins. Help Hair® Shake contains NO SOY, No Xanthum Gum, No MSG, No Artificial Flavors, No Artificial Colors, No Artificial Sweetners, No Preservatives, No Wheat, No Gluten, No Eggs, No Nuts, No Gelatin,No Fillers and NON GMO. Please email us about our Certification at helphair.com@gmail.com for full product description. Help Hair® Shake and Help Hair® Vitamins are made in the USA under strict FDA inspection guidelines. *This product is not intended to diagnose, treat, cure or prevent any disease. Always consult with a Healthcare professional. *Free Shipping on all orders over $300. (USA only) Email us for coupon towards international orders. We ship Worldwide!